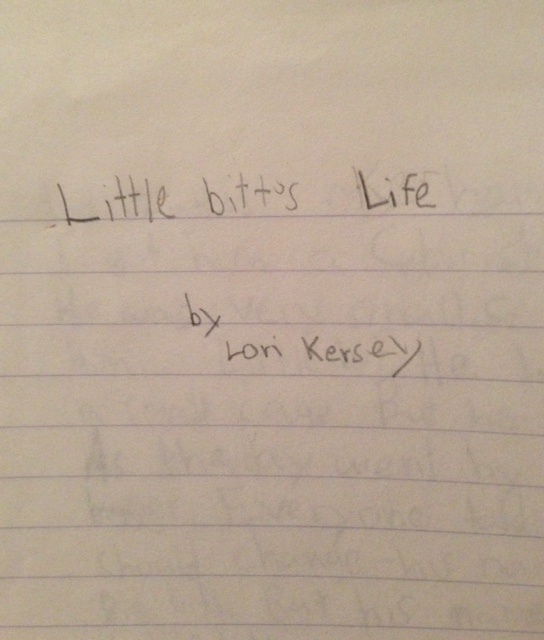 My mom was going through old things to take to a consignment sale when she came across one of my earliest-known journalistic works: a biography of my hamster. It’s a pretty short work: four pages of notebook paper stapled together. The first is a title page and the other three have short paragraphs of surprisingly legible handwriting. I don’t know exactly how old I was when I wrote it. The story says I got the hamster for Christmas 1992, so I would have been 8, but I don’t know when the hamster died or when I decided to give an account for his time on earth. I was home schooled at the time and I’m pretty sure it was not a part of my school work. I do remember the hamster well. 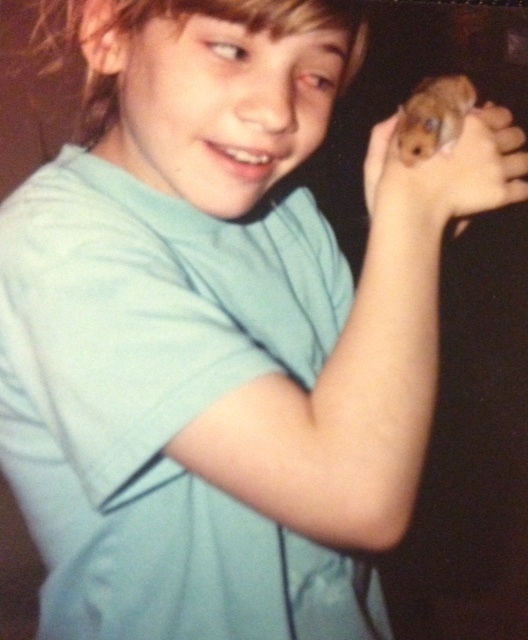 I loved that hamster. I used to put him on my shoulder and walk around the house with him. I remember begging my mom and dad for a hamster. I didn’t think they would get me one, but low and behold, on Christmas Day, here was this tiny baby hamster. I called him Little Bitt because of his size but I think it was also a reference to a popular cartoon of the time. This is me (with pinkeye maybe?) 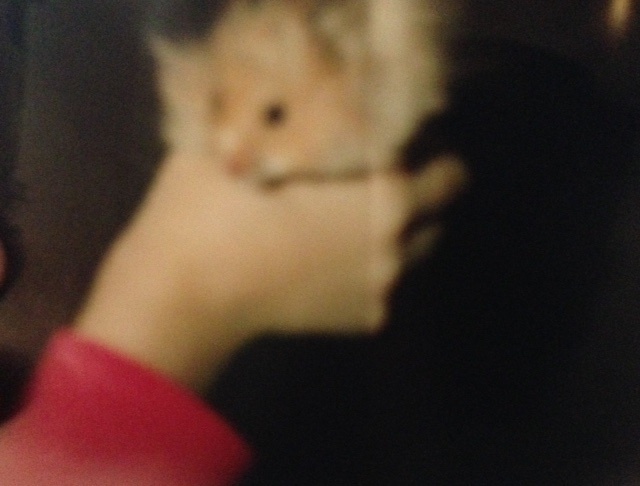 holding one of my family’s hamsters, but not Little Bitt. I think this one belonged to my brother. The story has pretty good spelling and grammar, considering a child wrote it. And it’s not much of a story, but it has a beginning, middle and and end. It’s fun to go through old personal artifacts like this and get a glimpse kid Lori. I like it that she was already writing even then. **UPDATE: as requested, the following is the full text of Little Bitt’s Life.